The note G on the first string, third fret, of the guitar is one of the first notes that most people learn. It is usually fretted with the third finger, but not always. 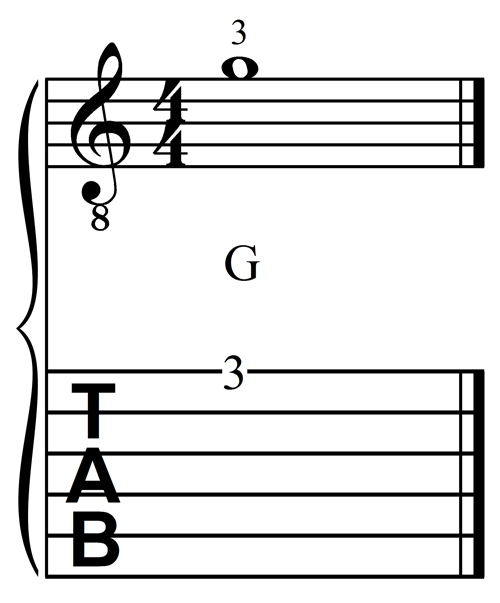 Here is how it looks in staff and tablature notation. Fingertip is placed near the third fret wire. Your guitar should be held so that the neck is at an angle, with the headstock higher than the sound hole. The front of the guitar should be nearly straight up and down, not leaning forward or back. If the guitar leans back too much you may find that the wrist of your fretting hand needs to be bent, especially when fretting the upper strings, which is not generally considered good technique. If you keep your wrists more than slightly bent, you will create unnecessary stress that may cause carpal tunnel syndrome or some other repetitive stress injury. 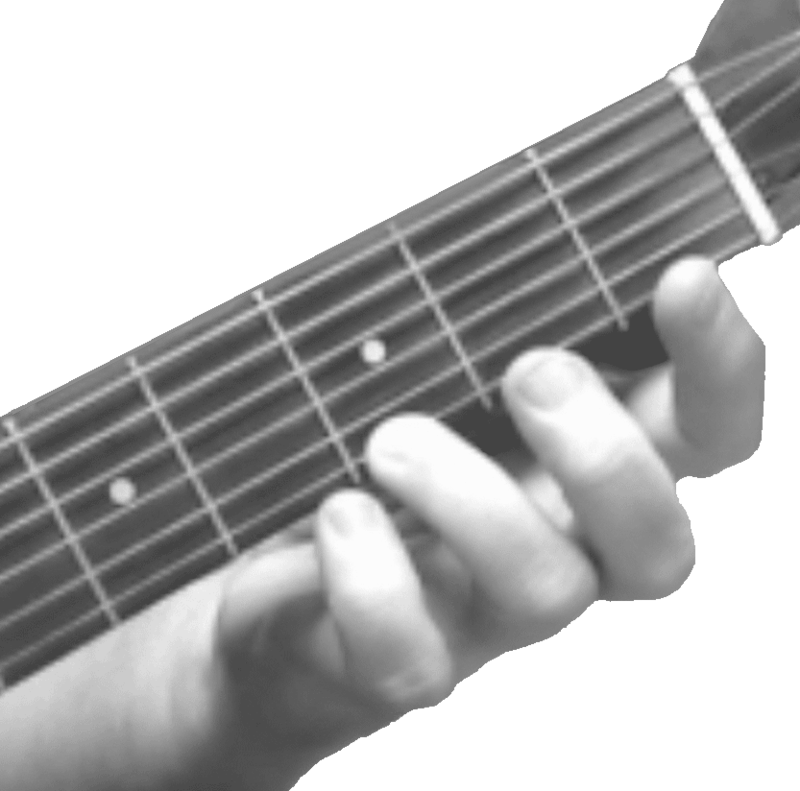 Hold your guitar high enough that your fretting hand elbow is lower than the neck. In other words, your elbow should be bent more than ninety degrees. Here is a picture of what your hand should look like. To give you some practice with G, here is a simple piece, with an audio accompaniment track located directly below the music. Remember to count one measure of rest at the beginning. If you can play the audio track in stereo, the right channel is the guitar, the left channel is the accompaniment. Adjust the balance to the extreme right or left if you want to hear one or the other, in the center for both.